Y’all it’s October. Fall is here and the weather…well the weather is a bit much in the DC area right now (hurricane, anyone?). But, this is absolutely crock pot weather. When it’s cold, I want something warm and filling and something that says “put this in a bowl and cuddle up on the couch in your sweats.” Don’t you? Well, this beer braised short ribs recipe is for you. BONUS: it’s made with DuClaw’s 31 Pumpkin Spiced Lager. This is the short ribs recipe for all you Pumpkin Spice Latte lovers out there. note: I was compensated for this post but all opinions are my own and I created the recipe below. What exactly sets this pumpkin brew apart from the rest? Well, it started as a one time Halloween release, but it stole the hearts of so many pumpkin beer aficionados we decided to add it to the regular rotation. After doubling the cinnamon and nutmeg (one of our best decisions, ever) we created a scary good beer that at 5.7 percent ABV, is our grown-up version of the pumpkin spice latte. Lucky for you, every fall, 31 is available on a shelf at a liquor store near you. I’m not really a beer drinker but this smelled so tasty that I *may* or may not have had one while I was cooking. And the flavor it gave the short ribs was just fantastic. 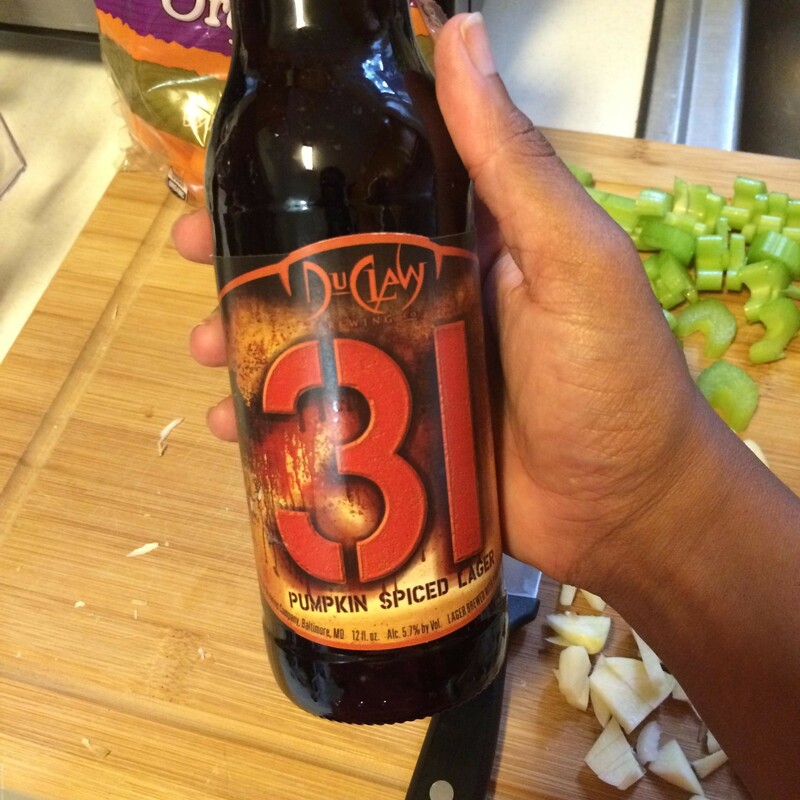 Are you familiar with DuClaw Brewing Co? As a DC gal, I sure am – they are a local company! DuClaw Brewing Company is a leading craft brewery founded in 1996, and is based in Baltimore, Maryland. Driven by the company motto “craft be cherished, rules be damned,” founder Dave Benfield took DuClaw from a home-brewing operation that sold beer through his dorm room window to a state of the art brewery. DuClaw is available in select liquor stores, restaurants and bars throughout Maryland, DC, New Jersey, Delaware, Virginia, Pennsylvania, North Carolina, West Virginia, and most recently, Cleveland, Ohio. DuClaw also operates brewpub restaurants in Arundel Mills, Bel Air, Bowie and Baltimore Washington International Airport that serve its award-winning craft beers on tap. If you’ve never tried cooking with beer before, I recommend it! 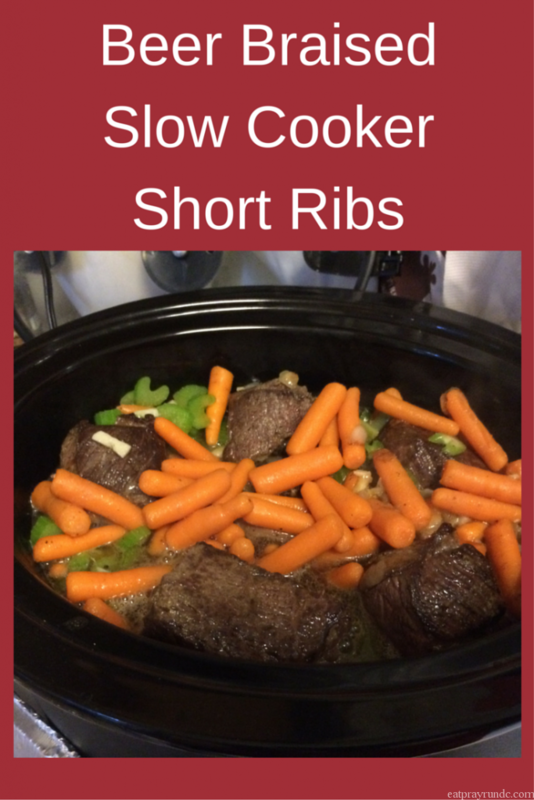 It’s great for stews and crock pot meals with thick meats. This short ribs came out tender and delicious and this was a perfect meal for a chilly fall day. In addition to the 31 Pumpkin Spiced Lager, DuClaw has released a 62 Imperial Ale. All you pumpkin lovers, take note! Yum! I’m posting my recipe with this beer tomorrow! 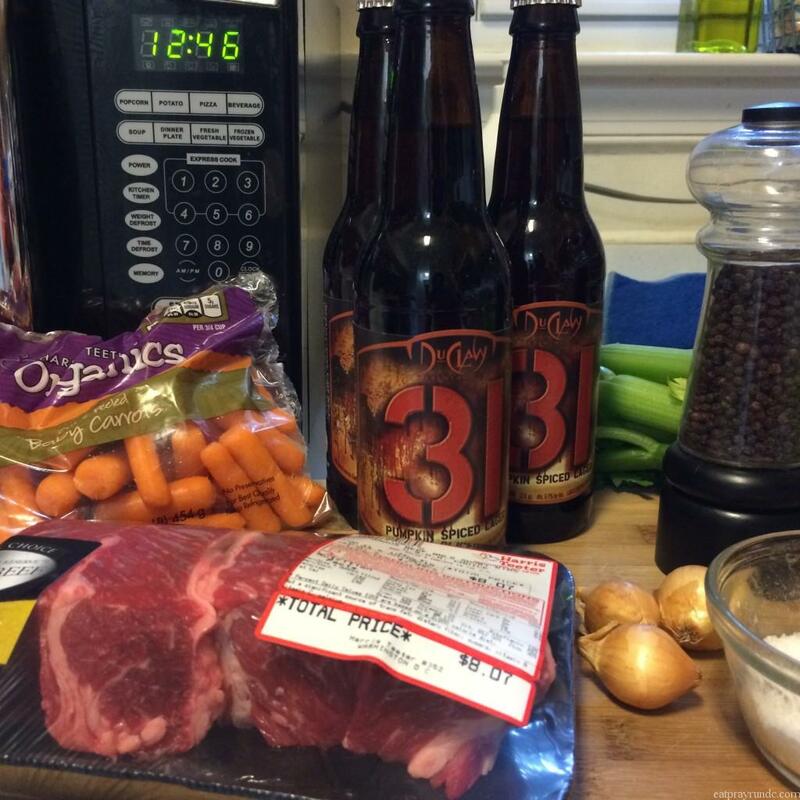 I love short ribs so I definitely need to try it out with beer. OMG these look amazing! I saved it to possibly try this week. 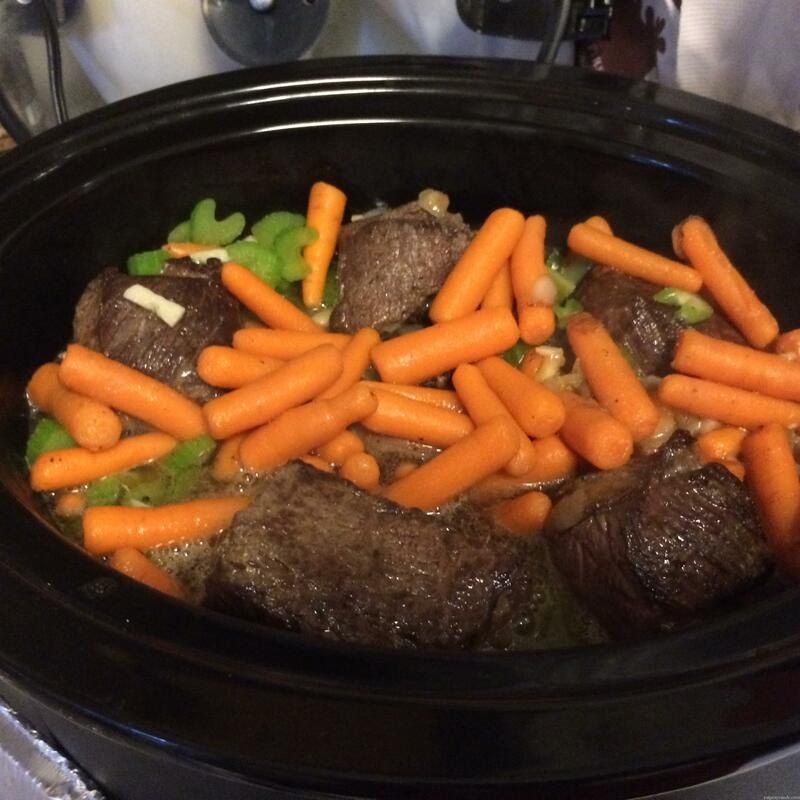 It’s finally cooling down so crokpot weather is a must! Daisy @ Fit Wanderlust Runner recently posted…Race Day! Yeah, so, about those ribs…YUM! I can’t wait to try this!! Thanks so much for sharing your creation, Courtney. Ohhh, we love ribs here and my hubby would LOVE this!